Limited Time Offer: Use Promo Code NationalCoachAcademy for $250 off any Certified Coaching Program! 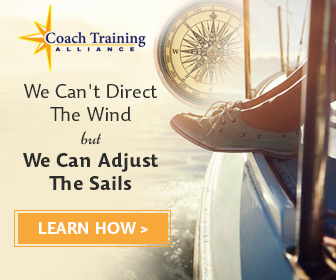 With its Certified Coach Program, the Coach Training Alliance is offering a rather innovative course. The feature which stands out the most is the three-pronged approach this program adopts. To be specific, it attempts to merge coaching, business, and marketing skills into one comprehensive package. This makes the end goal of the program crystal clear from the get-go. Rather than simply focusing on coaching and instructing the attendees in that regard, the aim is to put the successful graduates on the fast track to opening their own coaching practice. With that in mind, let’s take a look at the basics of the program. The first thing you should be aware of is that CTA’s Certified Coach Program will take six months to complete. This program combines teleconferencing, interactive software, and online resources for attendees to use on a weekly basis. To be specific, the focal point of each week is a live class, organized via teleconference. These last either 60 or 90 minutes, depending on the topic. In addition, the curriculum requires each attendee to put in five hours of self-study a week. Speaking of attendees, the program does not allow the class size to exceed twelve students. This is an attempt to make the best of both worlds in this regard. For one, the program incorporates a pronounced social aspect and your classmates are an invaluable resource. In addition to group classes, online components of the course allow each attendee to share their progress and questions with the rest of the group. Consequently, you can receive help from your peers when you need it and provide assistance in turn. At the same time, the limit on the maximum number of students is there to provide a personalized experience. Each attendee has specific requirements and a relatively small class size makes it less likely for any individual to get lost in the crowd. As mentioned, the program aims to cover all aspects that a successful and profitable coaching practice requires. CTA uses the expression “three-legged stool”, with coaching, business, and marketing each representing one leg. This approach is evident in the curriculum. Good coaching skills are the foundation for any success in this field so it’s only normal this kind of training is well-represented. It covers a coach’s role, the ethics, and standards involved, as well as the difference between coaching and traditional therapy. Furthermore, it teaches the prospective coach how to deliver meaningful questions and provide intuitive answers. 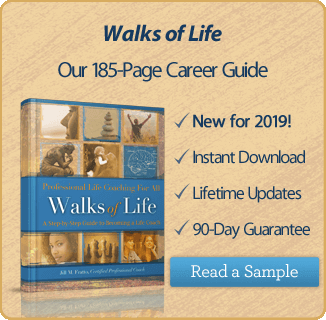 Simply put, it paints the roadmap and provides the skills a good coach requires. However, the program does not stop there. It covers a multitude of business issues which are so often the stumbling block on the path of any self-starter, from setting up your office to determining the rates and handling accounting. Finally, the marketing aspect will help the graduate attract clients, reach wider audiences, and find the right market. It contains many other tips and tricks which can really give a nascent practice the boost it needs to succeed. In order to get the certificate, the student needs to fulfill a rather strict set of requirements. Attendance and active participation in the majority of sessions are mandatory. Additionally, the attendee must complete a minimum of 80% of the assignments from the syllabus. Lastly, there is the no small matter of the final exam with actual clients. Upon successful completion, graduates receive more than just the certificate. They get the “CTA Certified Coach” insignia to use in emails, business cards, and other material. Plus, they get access to CTA’s online directory of certified coaches where they can advertise their practice and start promoting their business. We all know that there is no such thing as a free lunch and this program is no exception. The entire course costs $3047, which can be paid in as many as nine monthly installments (which comes out to just under $340 a month). They do offer a promo code from time to time, so be sure to sign up to their newsletter and you might just luck out. Coaching is a relatively new profession and can be the right fit for anyone who enjoys working with people. If you are interested in starting a career in this field, CTA’s Certified Coach Program is an excellent stepping stone. The program provides a very broad scope of training, covering all the bases. Because it is so encompassing, we believe it is a smart investment and a good way to get your prospective coaching practice off the ground.